Energy company BP is experimenting with personalized experiences with what they’re calling a “personality pump.” The test runs are taking place at four locations in Brooklyn and Chicago. The gas pump is being advertised as Miles and is the product of a partnership between BP and Pandora. 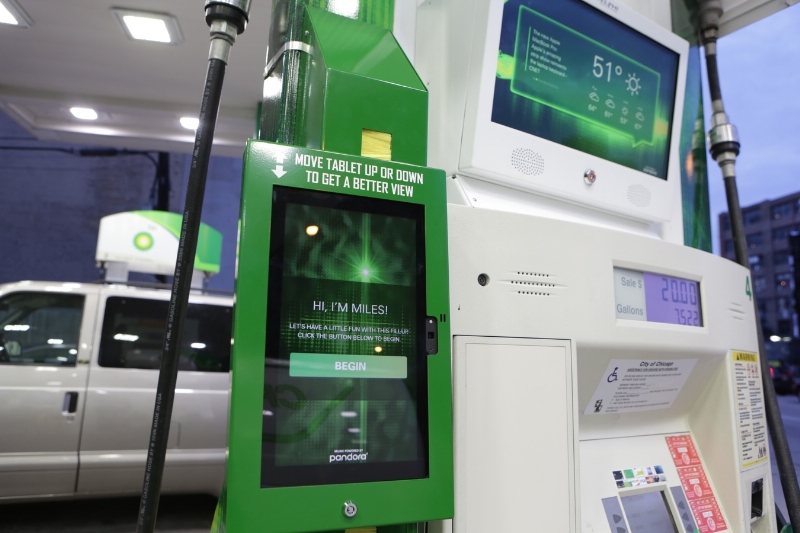 Miles is capable of talking with customers while they fill up their vehicles—among other tasks—making BP’s gas pumps a unique, hospitable experience. This particular element seems a bit tedious since customers aren’t typically hanging out at the pump for a significant period of time. Also interactions at gas pumps are usually kept between greetings to just be polite and very small talk. Talking to customers isn’t the only thing Miles can do. It can also play music from Pandora, send texts to customers for offers, music trivia record e-cards, set up the next Pandora station for customers, and text return offers. Again, these are all things that would probably run longer than your typical gas tank fill up, but BP is currently putting Miles out there as a test run between now and February 14, 2017. You can find Miles in New York City’s Brooklyn borough at 164 4th Avenue and 802 65th Street and in the Greater Chicago area at 750 North Wells Street in Chicago and 901 North Washington Street in Naperville.